2:36 OK, stopped out. Done for the day; thanks for coming; see you next week. Take a course. 12:51 on the MTRainbow chart the white 440 EXMA is slowly down. Bearish for the day; but no juice. graduates of my four main courses. See http://moneytide.com -> Courses for details. 10:05 this week has been choppy with multiple tops near 1143 to 1146. Then yesterday we got an eary spike high to 1053.5. 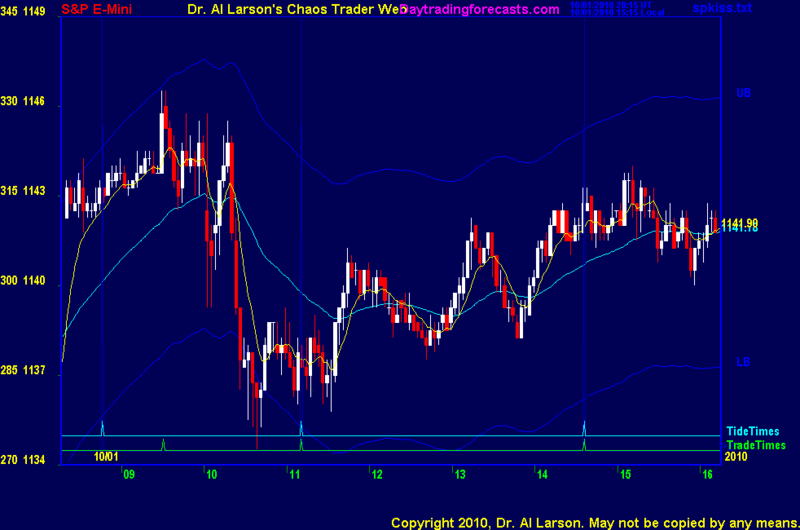 This could not be held, suggesting a change in trend on the daily chart. That suggested weakness today after an early high. 10/1/2010 12:41:05 PM MT EP:: .